Harry & David is a well-known online retailer. 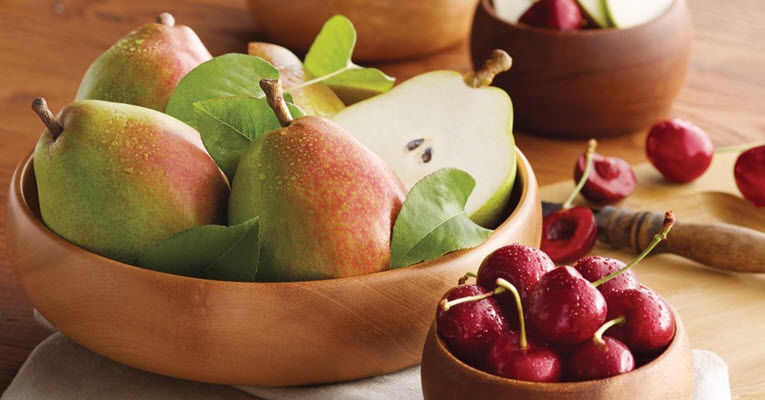 While they made a name for themselves with their gourmet fruit and cheese baskets, there is much more to this merchant – they even have a sweet side. 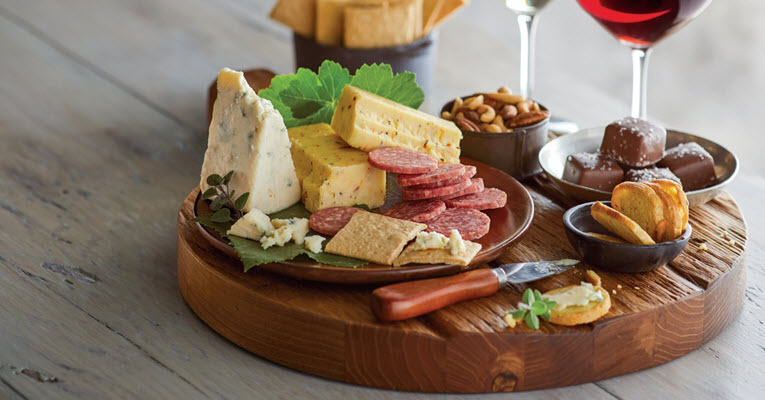 From gourmet gift baskets to baskets over pouring with treats, this is definitely one merchant to consider when you’re on the hunt for the perfect gift. 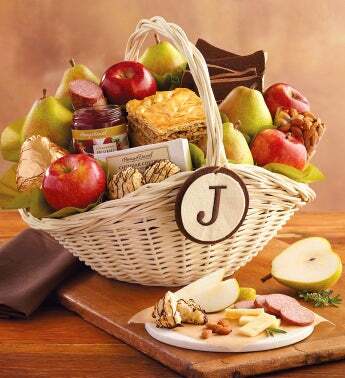 A gourmet gift basket retailer with maximum variety and years of dependable deliveries. Who Would Harry and David Most Appeal To? 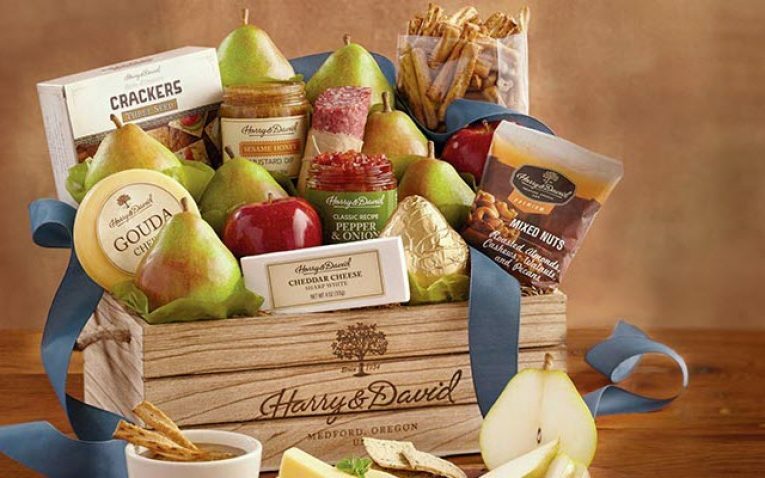 Harry & David probably have one of the largest selections of gift baskets to choose from. Their baskets include fruits, cheeses, wines, chocolates, even smoke salmon and snack items. Their baskets are also robust – and often over spilling with food items. 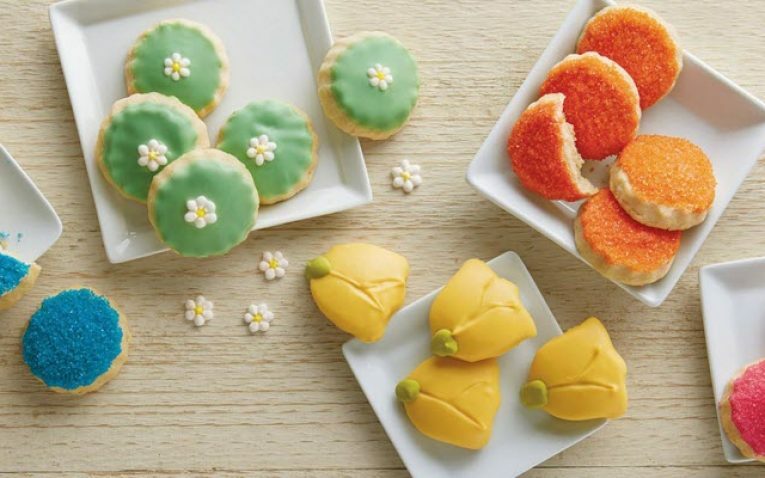 Their products are made by Harry & David – including their bakery items that come from Oregon. All of the products in the baskets are labeled with the signature Harry & David brand and if there is a product manufactured elsewhere, they will specify on the back of the label. This is how the company ensures quality with all of their baskets. 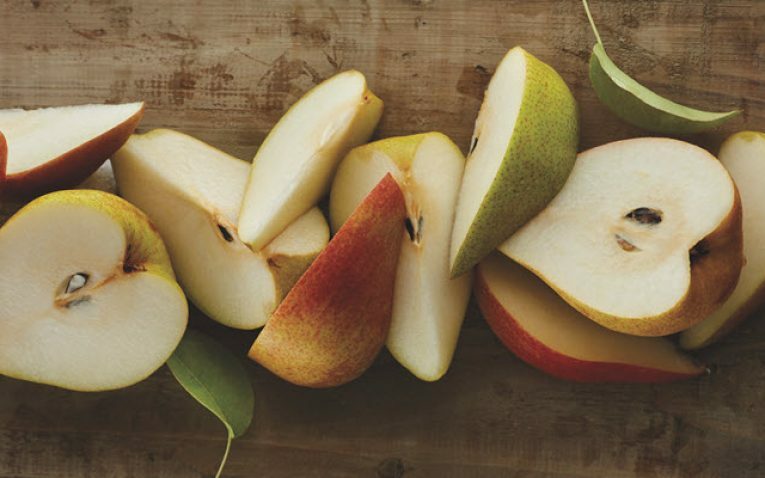 When it comes to fruit, Harry & David have several suppliers and they acquire fruits that are harvested year-round to ensure maximum freshness. 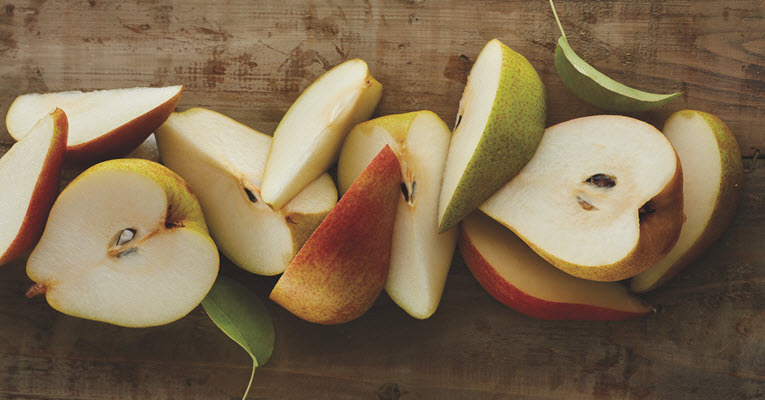 They also own their own pear farm and brand of pears, known as the Royal Riviera pears. 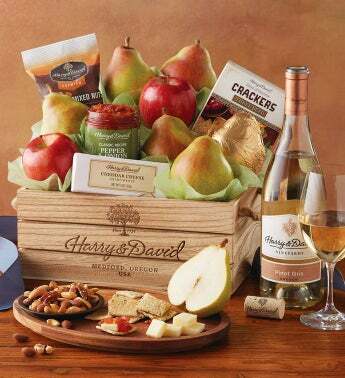 The only drawback, if you want to even refer it to that, is that Harry & David do not offer non-edible gift baskets at this time. 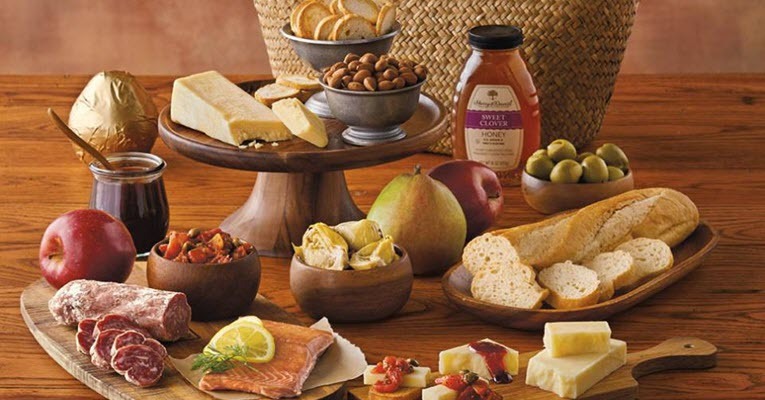 That being said, the company has established itself as a leader in fine gourmet baskets and food products; therefore, they have no reason to dabble in the non-edible varieties and most customers that shop with Harry & David would expect nothing less. Harry & David is one of the few merchants out there that lets their customers customize. While you cannot build-your-own or design-your-own, you have a lot of add-on options. 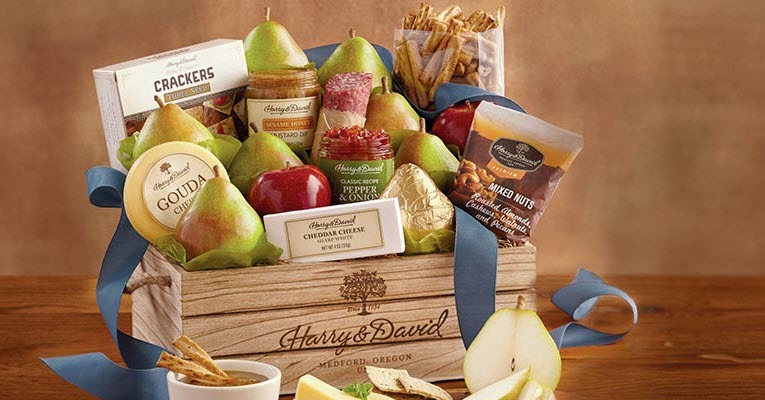 Almost every gift basket from Harry & David can be upgraded to a larger, more “premium” size. Also, you will find that all baskets will have a separate menu, “Add Something Special,” that lets you add things like wine, chocolate or even a specialty candy. The specialty add-ons will vary depending on the basket, but this allows customers to further tailor their basket to their needs or their recipient’s needs. You cannot swap out ingredients with their baskets at this time either, but with so many customization and add-on options, this may not even be an issue. Harry & David organize their gift baskets differently, but still have over a dozen baskets per category. If you are shopping with a purpose (i.e. graduation, congratulations, anniversary, housewarming, etc. ), you are going to find a themed basket. They also have a large variety of holiday-inspired baskets. Their Halloween baskets, for example, feature Halloween colors, spookily decorated cookies, and even popcorn mixes. They also have other holiday-specific baskets, such as Christmas – featuring gourmet snacks, fruits and wine perfectly paired to go with everything in the basket. 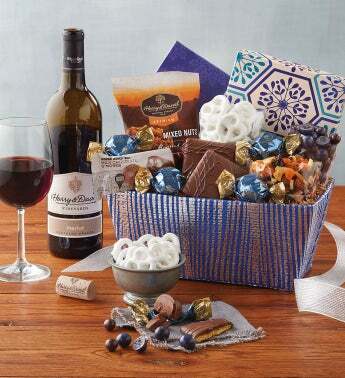 When it comes to sentiments, they have an extensive inventory of sentiment-ready baskets. 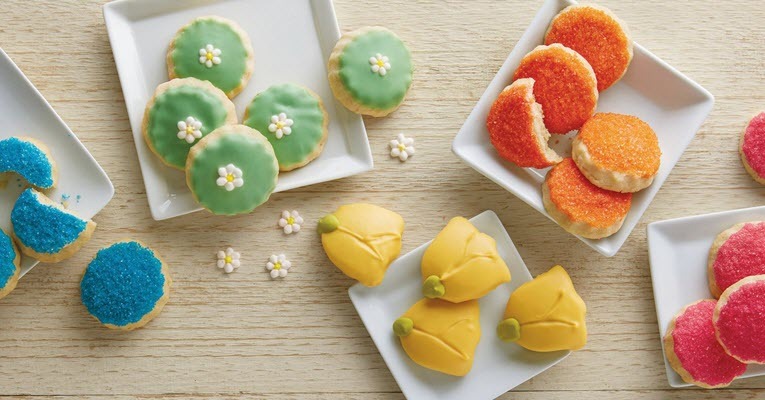 Their new baby gifts are adorable (and tasty) and their housewarming gifts are fun and perfect for saying “thank you”. They also have their baskets organized by gifts for him, gifts for her and price points to make shopping with them that much easier. When it comes to specialty options, Harry & David do offer organic baskets, all Kosher gift baskets, vegan and sugar-free options. 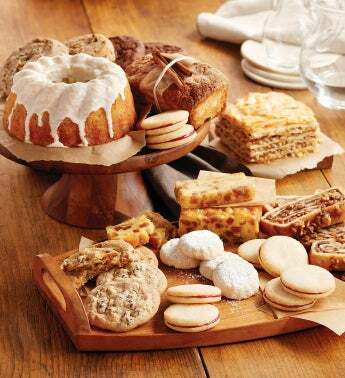 They do not offer any gift baskets in gluten-free, but they have a variety of gluten-free products that can be ordered (outside of a basket). The corporate and business-gifting options at Harry & David are what you would expect from a big retailer. They have their own Business Gift Specialists standing by ready to help you pick out the perfect gift for your client, employee, and more. 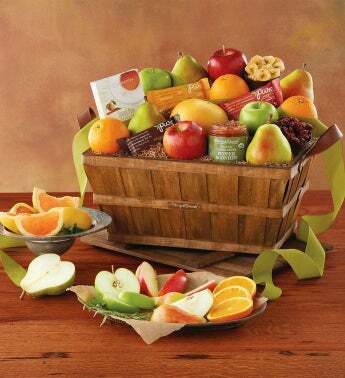 They also have baskets, towers and products categorized by the occasion – such as new clients, business partners, employee recognition, office parties, fruit gifts, birthdays and retirements. A custom card can be created for the gift basket as well and they also accept company stationary so that the gift basket matches the company’s brand. Ordering is easy with Harry & David as well. 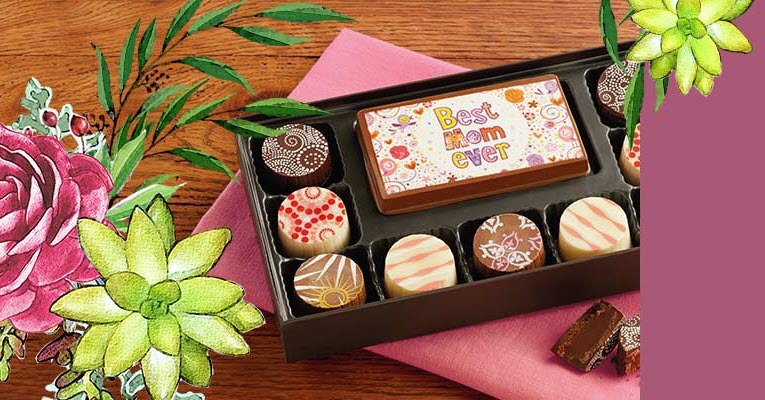 Corporate buyers can purchase online in small quantities for their spur-of-the-moment gifts, but they can also use the order form for larger, bulk orders. A gifting plan can also be created and customized with a Business Gift Specialist. They do offer special pricing on some products for corporate members, but only if they place the order via the specialist and not online – which is common for a lot of these retailers. Harry & David may be a big retailer, but they still take holiday and gift-giving budgets to heart. 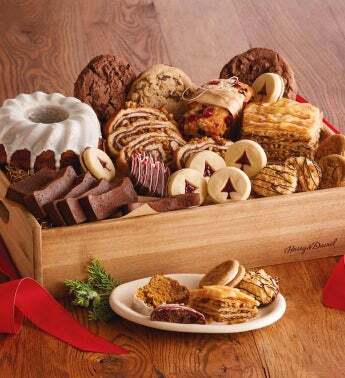 They have plenty of excellent gift baskets that are spilling over with treats for under $30. The majority of their baskets fall into the $20 to $150 range, but unlike other retailers, these baskets are packed full and plentiful. Shoppers truly get bang for their buck with this merchant. There are also sales and specials for the season always offered through their website. Sales can include percentages off, coupon codes, etc. For example, their Halloween sale featured everywhere from 18 to 25 percent off products. The shipping rates with Harry & David are extremely reasonable – if not one of the more affordable rates you will see. For the majority of baskets, you can expect to pay $7.99 to 10 percent of the order total (the percentage applies to baskets priced over $180.01). 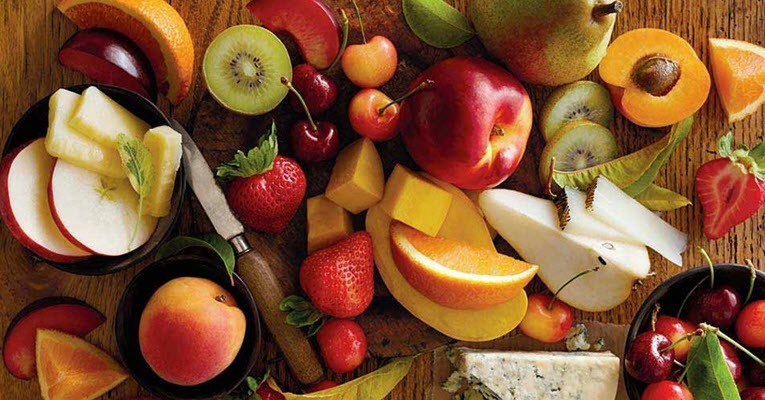 Standard shipping is four to seven days, but they use refrigerated and temperature controlled trucks to ensure all products arrive in their best condition. When shopping, the shipping rate can also be found under the “shipping” tab per product – so there are no surprises at checkout. They also offer express shipping, which includes three day shipping ($9.99 additional), two-day shipping ($11.99 additional) and overnight ($19.99 additional for regular overnight and $24.99 for Saturday overnight). They are one of the only merchants to offer international shipping. Currently Harry & David ship to Canada, US Territories and additional countries. For APO/FPO they do not charge an additional fee and have numerous gift baskets that can be shipped to military service members overseas. All of the gift baskets from Harry & David are expertly packaged and feature decorations to match the theme or sentiment. 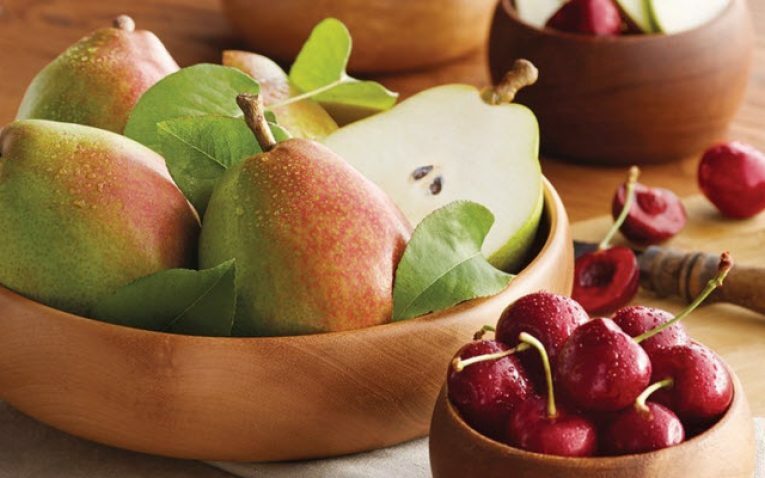 For example, their holiday baskets are adorned with reds, greens, whites, golds, etc. They use creative packaging, ribbons, colorful baskets and more to personalize their baskets. When shopping online, you can zoom in to see every aspect of the basket as well as a detailed description (and size amounts) of what you are getting. They take great pride in ensuring their gift baskets arrive exactly how they are depicted online. When purchasing as a gift, you can pick and choose from a selection of greeting cards and even send an email announcement to the recipient notifying them of their upcoming basket. Harry & David have an extensive satisfaction guarantee for baskets. They will make it right if ever a basket arrives below expectations. They do not that weather can impact harvest times and deliveries, but they do notify customers and these delays are only to ensure quality. 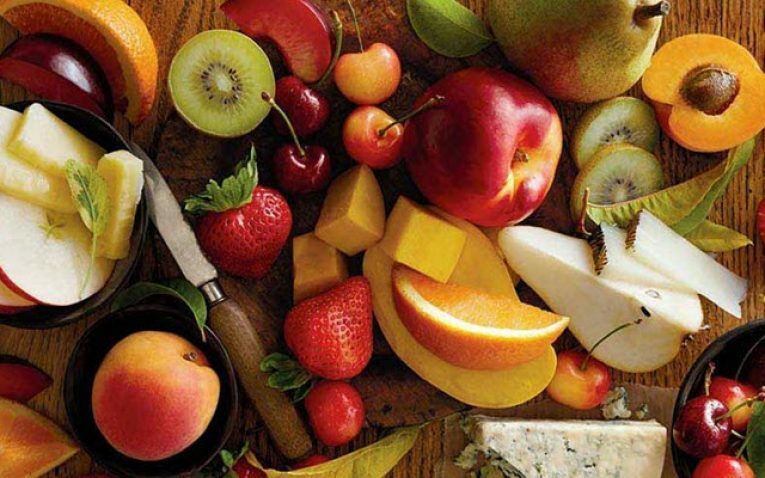 Everything from Harry & David comes with their guarantee, including fresh fruits, cheeses and wines. If someone receives the wrong product, it arrives late or the food is not to their expectations, the company will work hard to correct the issue. We wish that Harry & David had a live chat option – that would just add to their convenience. This is the only complaint we really have regarding their customer service. They offer extensive customer service hours via their toll-free number (seven days per week from 5am to 10pm PST), email and they have a great FAQs section that is by far one of the more extensive ones. Their BBB rating is ranked at a B-, which is still reasonable for such a big retailer. Under $50 – The selection under $50 is extensive. 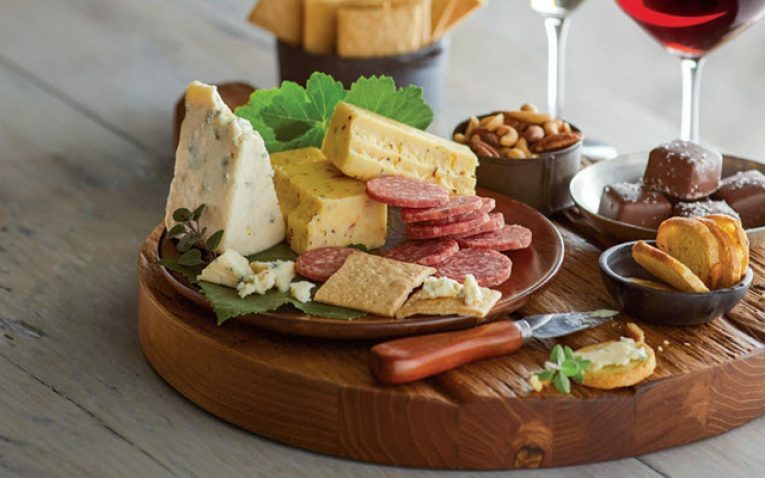 It can range from fruit and cheese baskets (that include eight pieces of fruit and two containers of specialty cheeses) to snack baskets and towers to even gourmet meats. These baskets weigh anywhere from two pounds to over five pounds a piece. $50 to $100 – These baskets are very robust and feature things like fruits, snacks, cheeses, meats and can even include wines. These baskets still weigh under 10 pounds, but do go as high as eight pounds each. $100 to $200 – More baskets will come with wines and fine food products in this price range and the fillings are definitely on a grander scale. Almost all of these baskets weigh over 10 pounds a piece. 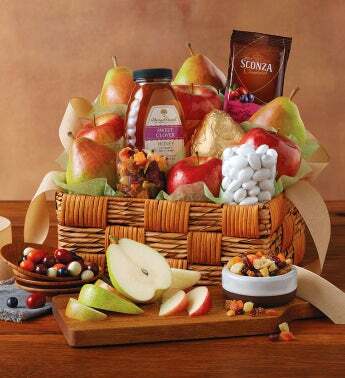 $200 and up – There are not a lot of baskets over this price point, but the ones that are presented are extremely big and feature a large assortment of fruits, cheeses, snacks, and other gourmet food items (including wine). These baskets can weigh as much as 20 pounds each. 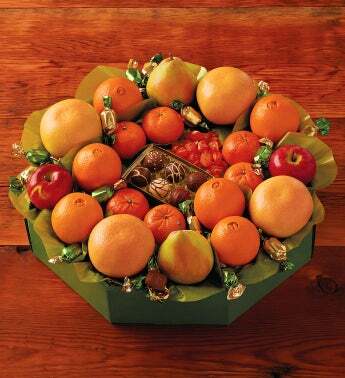 Harry & David is a dependable, reliable online gift basket merchant. They are perfect for those that are last-minute shopping or those that want to spend money on a basket they know will deliver. 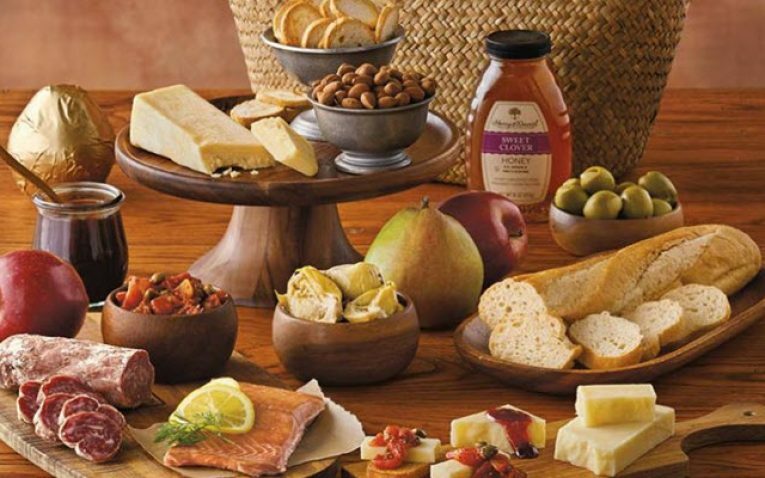 The company has a reputation for excellence and their quality of food products are by far one of the highest. 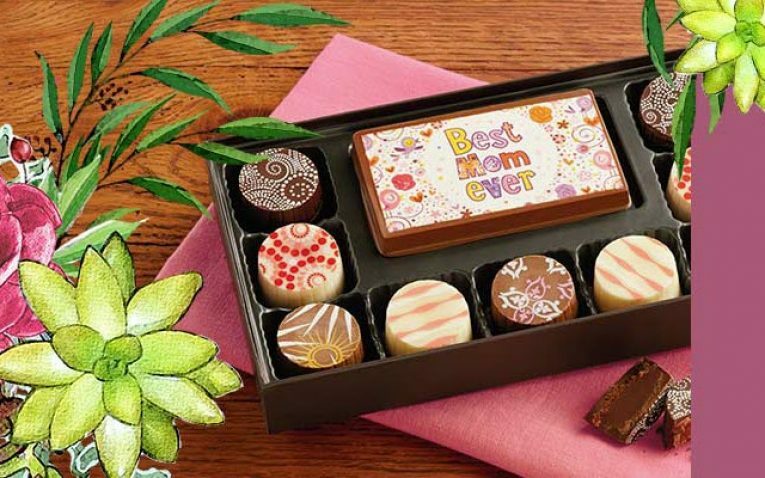 Because they have such a large selection, they could work for everyone from corporate gift-givers to someone looking for a perfect housewarming gift to the person that wants to treat the family on Christmas morning. Harry & David do have a lot to love. For starters, we really like their massive selection and dedication to high-quality products. When you order from them, you know you won’t be disappointed. Their shipping rates and how they ship their products are also impressive. When you spend $100 with them, you know you get what you paid for and that it will arrive on time and the way you intended it to. We also appreciate all of the add-on and customization options – including the gift cards and messages. Not all vendors offer this and it is definitely something to consider when shopping online for a gift basket. There is little to dislike about Harry & David, but if we had to choose, the first would be that they do not have any non-edible baskets. More gift basket companies are dabbling in this area just to ensure that they accommodate everyone. Also, Harry & David doesn’t carry any gluten-free baskets. While they have gluten-free products, none of their baskets are certified gluten-free specifically – this could limit how many people are able to shop with them.